Oct. 19: Why Are Maine's Candidates For Governor Being So Polite To Each Other? And now another edition of Maine's Political Pulse with our politics team in Augusta, Steve Mistler and Mal Leary. 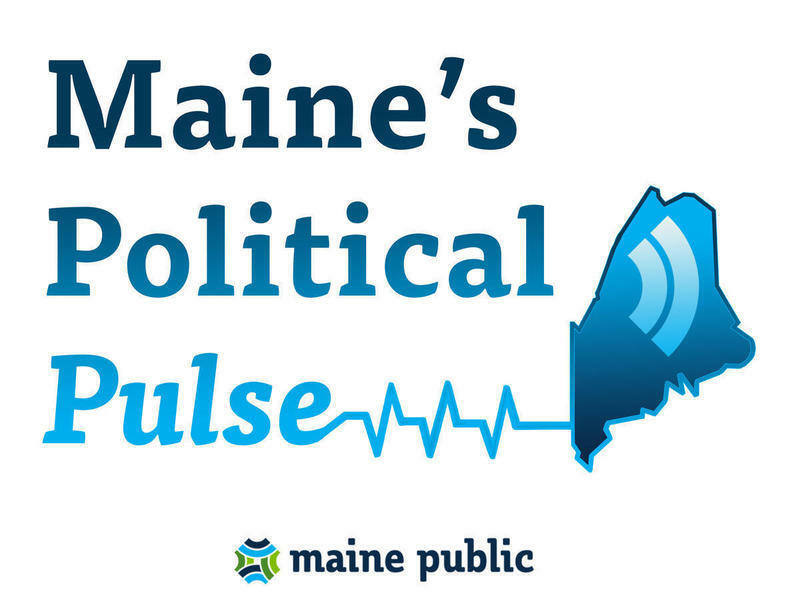 In this episode, Irwin Gratz and the team look at recent debates between Maine's candidates for governor, and the polite tone the candidates in the race have struck. Let's return to the governor's race. There have been ads, interviews, debates but the campaign still seems very low-key. Mal, you've seen more of these races than most. Is that your impression? LEARY: Usually there are one or two issues that kind of fire up the candidates on either side, or an independent and a party candidate, and they go at each other and they hammer home at the debates on those issues. We haven't seen anything like that. They seem to be rather polite, and quite frankly it's like talking point after talking point over talking point. So, Steve Mistler, the next question is why? MISTLER: Well that's a good question. I mean, I've seen some folks sort of speculating that there's, like, some unspoken agreement that they're all going to be civil to one another. But I don't know that there really is such an agreement. I just think that there's so much outside spending in this race - close to $7 million so far, and I think the candidates, especially the two who we believe are the frontrunners, which is Janet Mills and Shawn Moody, are just going to let those ads and the outside spending do the dirty work for them. And I think there's a reason for that. You know, in the past those ads have bled on stage and the candidates are going after one another. I mean you can see that in the 2nd Congressional District race where it's really been the focus. But I think there's a personality dynamic at work here between Mills and Moody that might be why they're so restrained. I mean Moody, you know, he's reciting a lot of talking points that relate to his business. He's trying to maintain that affability that he became so known for when he first ran in 2010. And Mills, who we all know is very sharp and sharp-tongued, but we have not seen that from her, with a few exceptions, one of which was last night during this discussion about transparency, which morphed into this kerfuffle over tax returns, which of course Shawn Moody has not released and all the other candidates have. So what's this likely to mean for the race itself as we go down the road here? LEARY: First of all, Irwin, the voting has already started, and that's something that people forget. The numbers I saw from the secretary of state were something like 14,000 people have already voted in these races, as of the computation that was conducted on Monday. In 2016 we had over a quarter of a million votes cast absentee. If we have that kind of numbers going on, a lot of folks are going to decide how they're voting in the governor's race long before the polls open in November. So, we've got a different dynamic here. These candidates are aiming at people who are voting now, they're aiming at trying to convince undecided voters to vote for them in the end. And I think that's part of what we're seeing in this race, is they're trying to be very careful not to alienate some particular voter block while trying to appeal to a particular bloc that their internal polling shows they might be able to get. MISTLER: I think you hit that important point, Mal, which is, I think, one of the reasons why they're not really going after each other in the race - another reason - is that if Janet Mills were to just dismantle some something that Shawn Moody had said and did it in a way where it looked like she seemed less likable than him or something like that, that might not be good for her in terms of winning those persuadable voters that Mal is talking about. And I think the same goes for Shawn Moody. If he went on a full attack against Janet Mills, that may not look great for him either because one of his big positives is, again, his affability. All right. This race isn't happening in a vacuum. Is the lack of - for lack of a better word - controversy, in the governor's race going to mean more public attention on any of the other contests? And what effect could it have on them. LEARY: Well I think it's pretty clear that the most hotly-contested race isn't the governor's race, it's the 2nd Congressional District. There is an interplay between the races that always occurs. But the reality is a lot of Maine voters are notorious for being a ticket splitter. People tend to look at the candidates and vote the way they feel about that particular candidate. Let's return to that gubernatorial debate on the television stations of News Center Maine, and the heat that was generated by [anchor] Pat Callahan’s question about government transparency. The LePage administration has been rather opaque. Steve Mistler, what effect do you think that's had on the public's understanding of their government and elected officials? MISTLER: The whole point of public records laws and knowing, for example, where the governor is on any given day, what he's doing and, you know, just interacting with the press, is important to know what your government is doing. And not just him but the entire state bureaucracy. So, what we've seen over the last few years, despite the governor’s promises to be the most transparent governor in state history, he's been exactly the opposite of that. LEARY: And what's really most unfortunate is LePage really echoes a number of governors across the country. We're not the only state where it takes reporters months and months and months to get documents that should be just produced within a matter of days. This whole function of government becoming more secret and less transparent is a phenomenon that's going on across the country that folks are battling in every single state. Mal Leary and Steve Mistler are taking Maine's political pulse this morning. Gentlemen, thank you both.